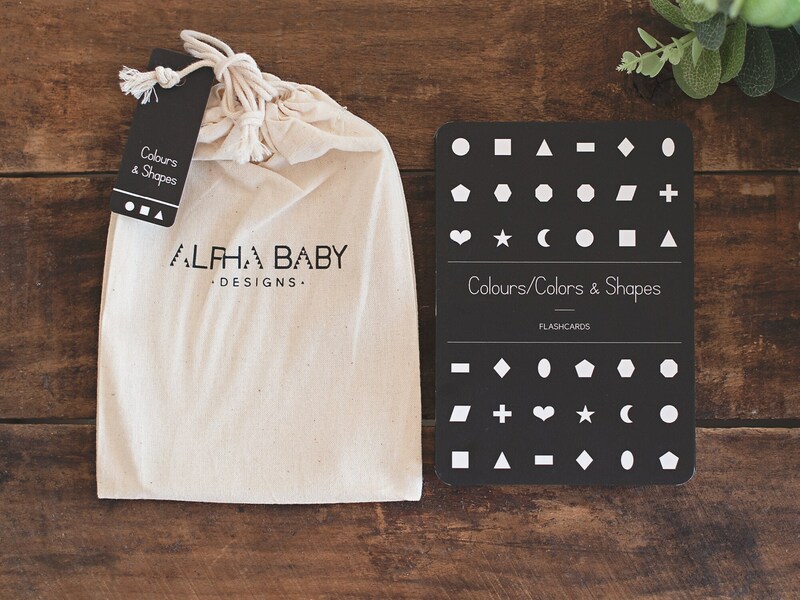 Designed to grow with your child's age and development, our gift sets are perfect for newborns to school-aged children! 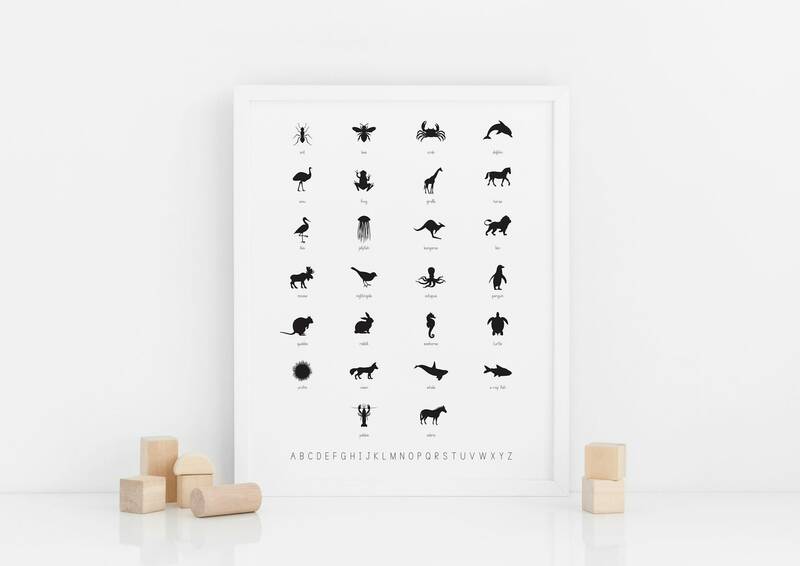 – One A4 Alphabet Poster OR Animal Alphabet Poster (black on white) as a physical print. The set comes beautifully gift wrapped in brown paper, tied with black and gold string! 3. 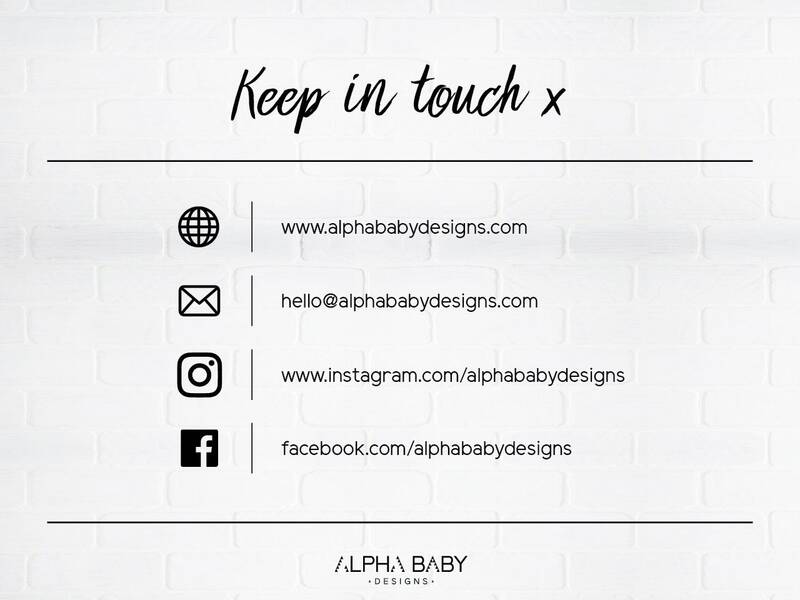 Check out and wait for your parcel to arrive! Normally A$84.00, you are saving $19 in this bundle! Plus, postage is FREE Australia-wide and we're offering reduced rates for our international customers. 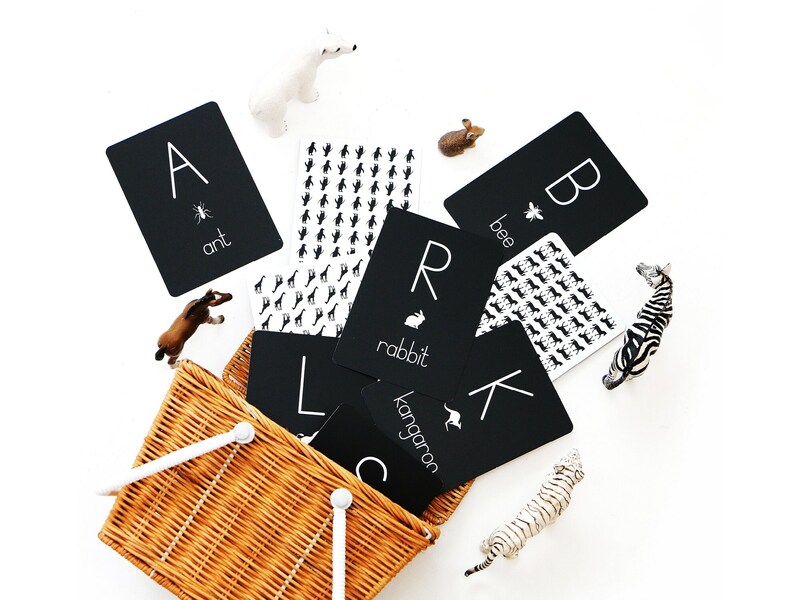 The flash cards come gift-ready in a little drawstring bag with a beautiful cover card showcasing a hint of what's inside. 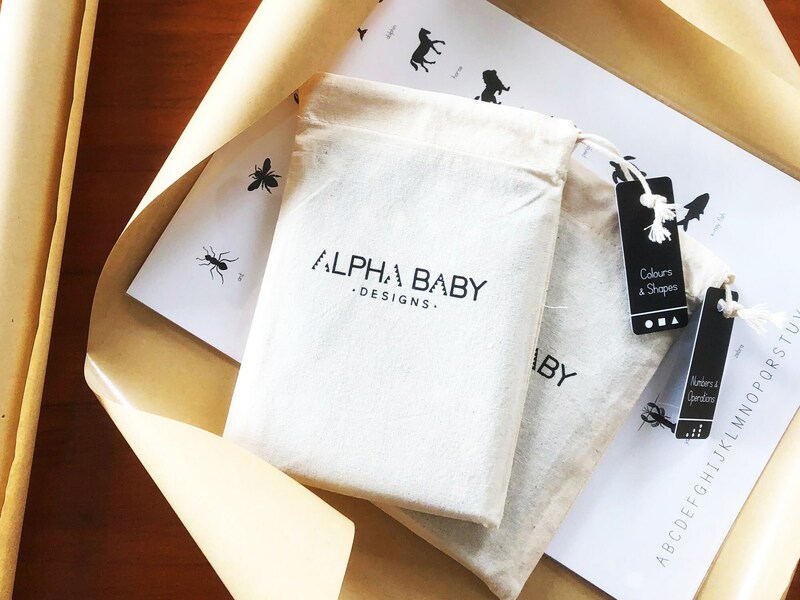 It's the perfect gift for baby showers, birthdays, or as a special present for a little one's first day of pre-school/school! 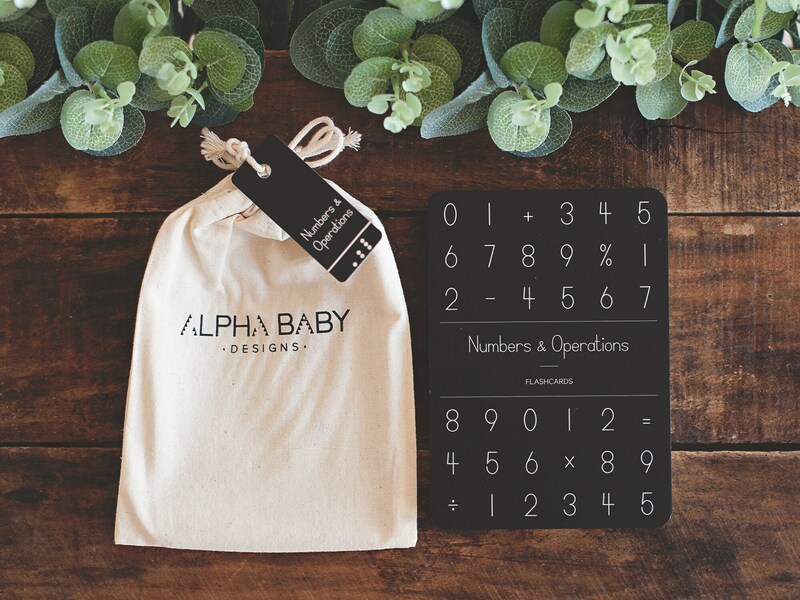 They are the ideal size for little hands to play and learn, or for decorating your nursery or kids room. With the little bag included, they're also handy for packing in your bag to help keep the kids entertained while you're out and about. 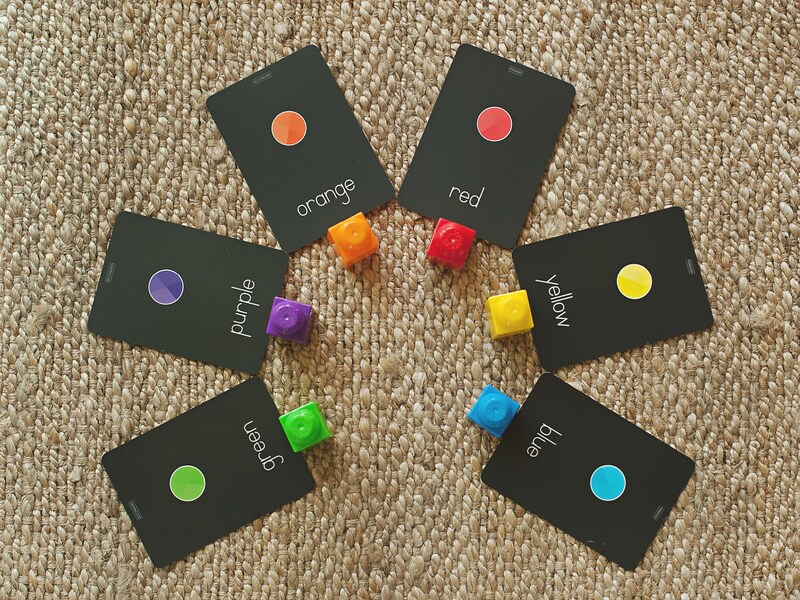 The flash cards have rounded corners for safety and are 105x148mm in size. 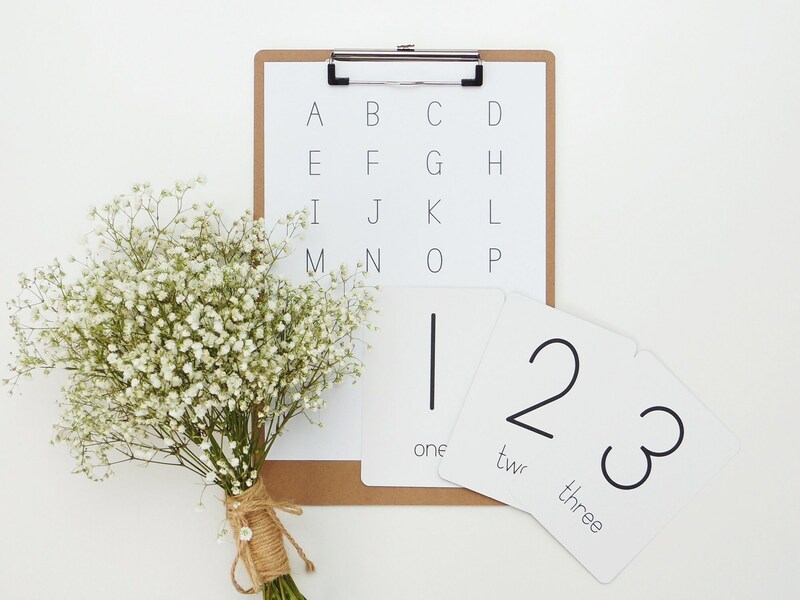 The font is clean and simple ensuring it's easy for little ones to read, recognise and remember. 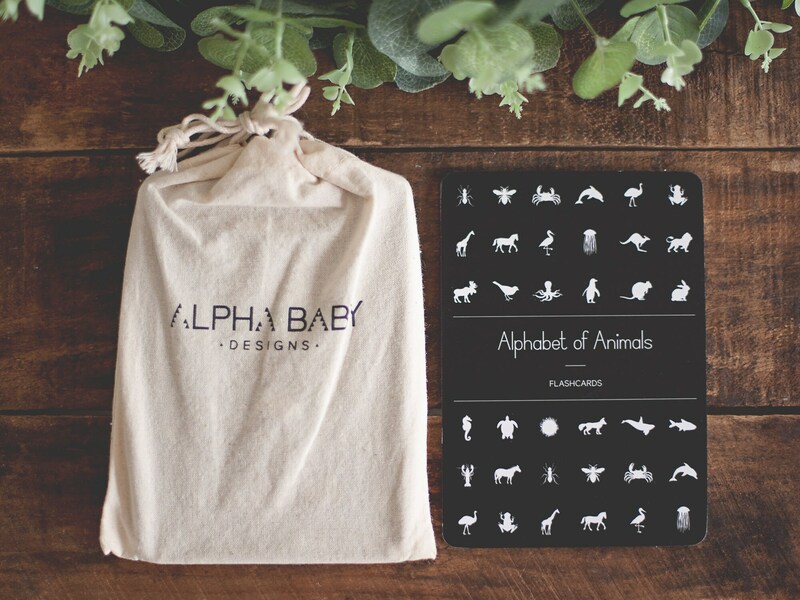 They are professionally printed on premium quality, heavy card stock. Please note: Our flash cards should be used under adult supervision until the age of three or older, as best determined by you.